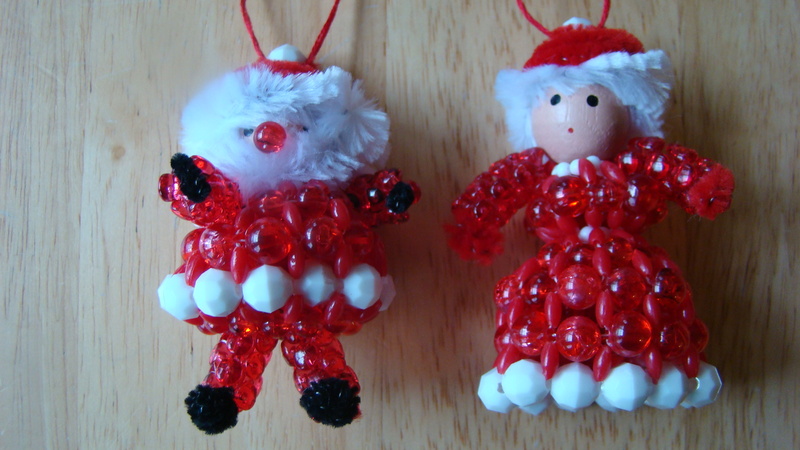 I finally finished beading the Santa Claus Ornaments. The actually bead weaving was super easy, but I struggled with the pipe cleaners. But, after a trip to Joann’s for more chenille stems they’re good to go. I’ve got a smudge on my camera so tomorrow I’ll retake photos but for now….here they are. Sadly I don’t. I picked up an old vintage kit on ebay. I’ve got them on my todo list to show how the heads are applied to the beaded bodies, but life has me swamped with other, more pressing obligations. I’m sorry. 🙁 I’ll try to see if I can find the packaging so you can see what to look for later in the week.